Steam cleaners are a relatively new product in the US but have been widely popular in Europe for many decades. They are slowly becoming more popular in America and throughout the globe as a safe and efficient method of cleaning. It is forecasted that steam cleaners will rise in popularity and will someday become as popular as the vacuum cleaner. 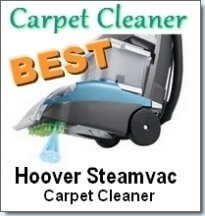 Steam cleaners have numerous uses which are almost only limited to ones imagination and desire to clean. There are many advantages and very few disadvantages (if any) of steamers. Heated steam vapor which can either contain high or low water content has many advantages. One of these includes the fact that it is a very green conscious method of cleaning, as well as being frugal. 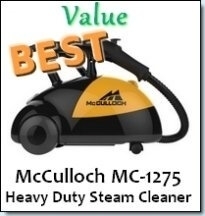 How does a steam cleaner manage to be both green and frugal? Well, it is a green product because it only uses water which is converted to steam to clean. 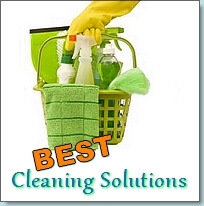 Most other cleaners, including many vacuums use chemical filled cleaning solutions to clean. These chemicals are harmful to both the environment as well as your family. As a society, we have become desensitized to the negative effects of chemicals, but they are in fact quite hazardous to our health and the health of the planet. Steam cleaners and steam mops play an active role in reducing the amount of chemical cleaners a household uses. The steam is an excellent method of cleaning as the heat immediately kills bacteria and germs while improving the air quality within the home. Steamers also apply as being a frugal household product because you never have to buy cleaning detergent. Unlike other cleaning machines you don’t have to buy huge amounts of cleaning solutions and powders every week. This is a recurring expense you don’t have to add to your checkbook as steam cleaners and steam mops only need water which is readily available. Because there are so many steam cleaner parts and accessories, this enables you to clean a wide range of surfaces. You can clean bathrooms, tiles and grout with the concentrator nozzle. You can also clean faucets, door handles and sinks with various sized brushes. The squeegee works well for cleaning windows and other glass surfaces and the brass brushes make sure that your BBQ grill is completely degreased and cleaned. One of the major issues when owning a steam cleaner, steam mop, vacuum or any other machine for that matter, is finding parts. Sourcing parts can be a major headache, but hopefully, we can assist you here. 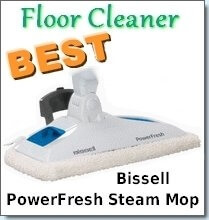 The above are some great places where you are sure to find that elusive steam cleaner part or accessory. If you still can’t find the part or accessory, then you should contact the manufacturer directly. Most manufacturers have websites with customer service support as well as online stores where you can purchase from directly. It is important to shop around though, as most of the times you can find the part cheaper on other websites.